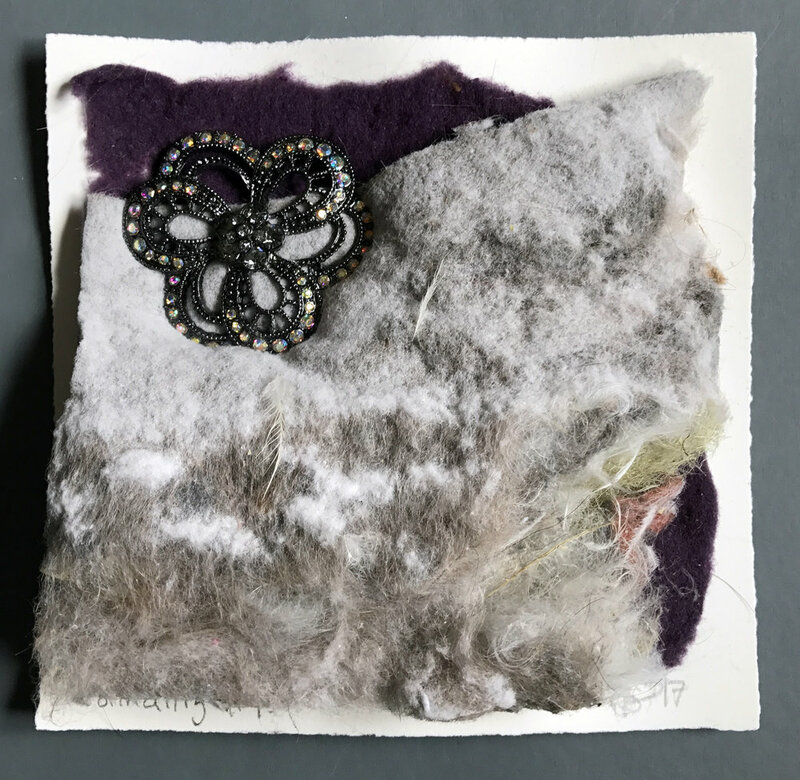 Formalities - 2017 — Stacey B. 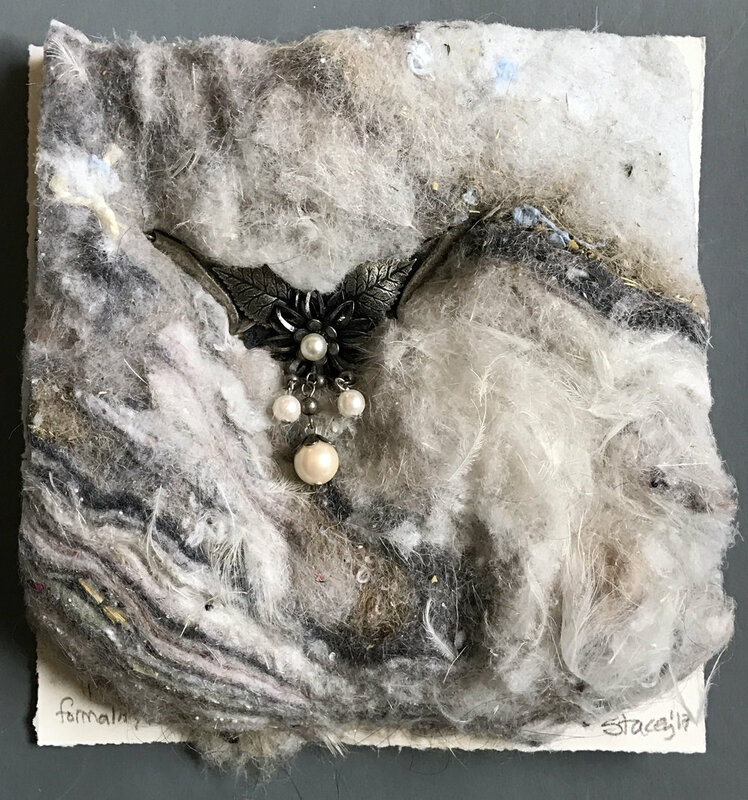 A series of five 6-inch square works created February 2017. 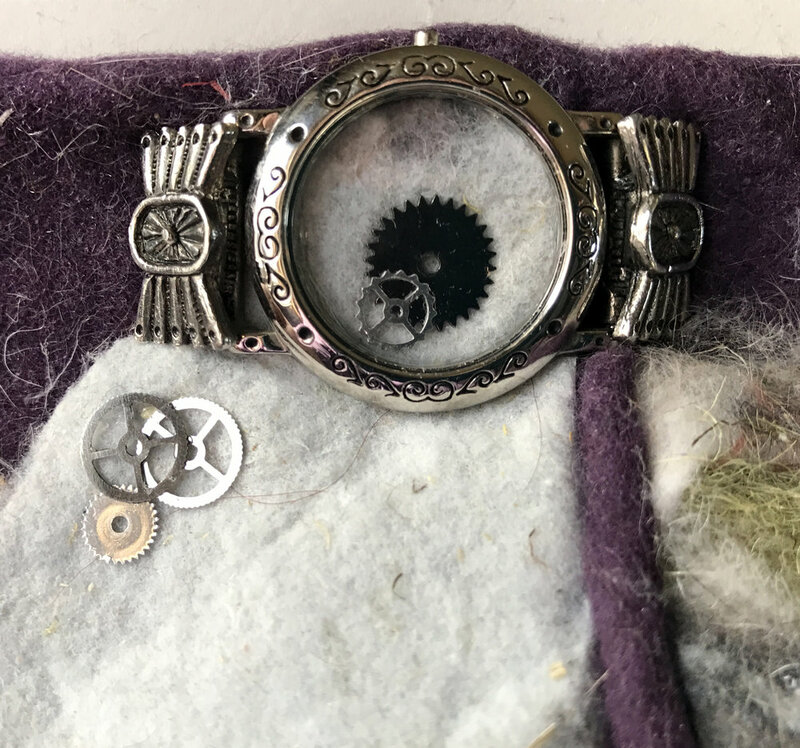 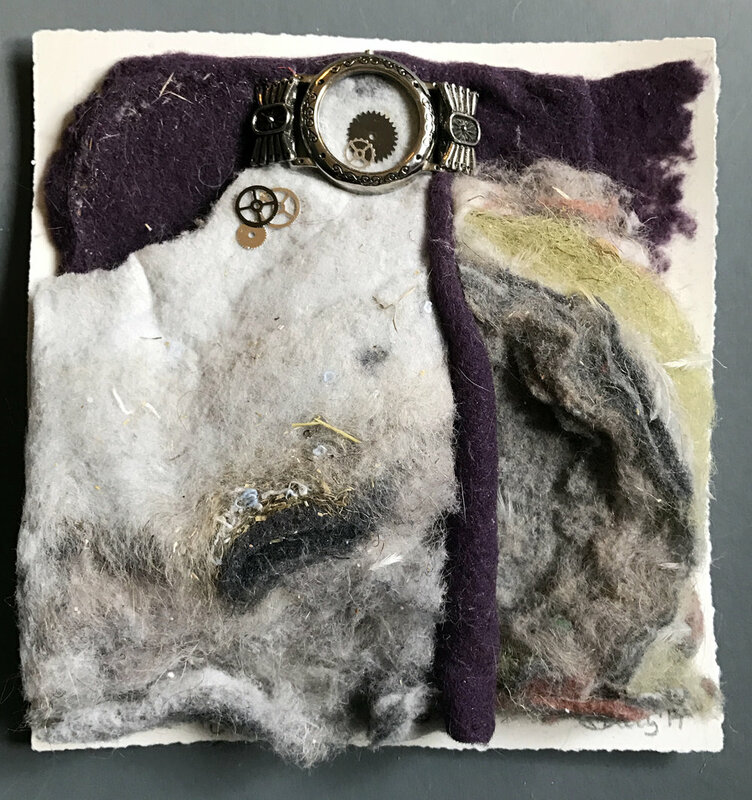 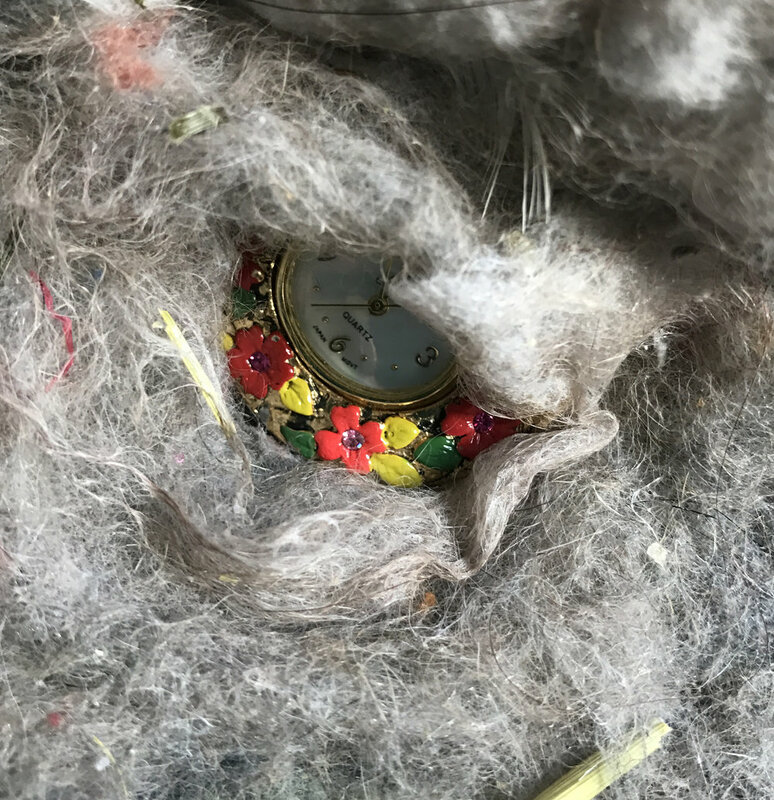 Each piece includes similar formal elements, combinations of textural laundry lint and repurposed jewelry or watches. 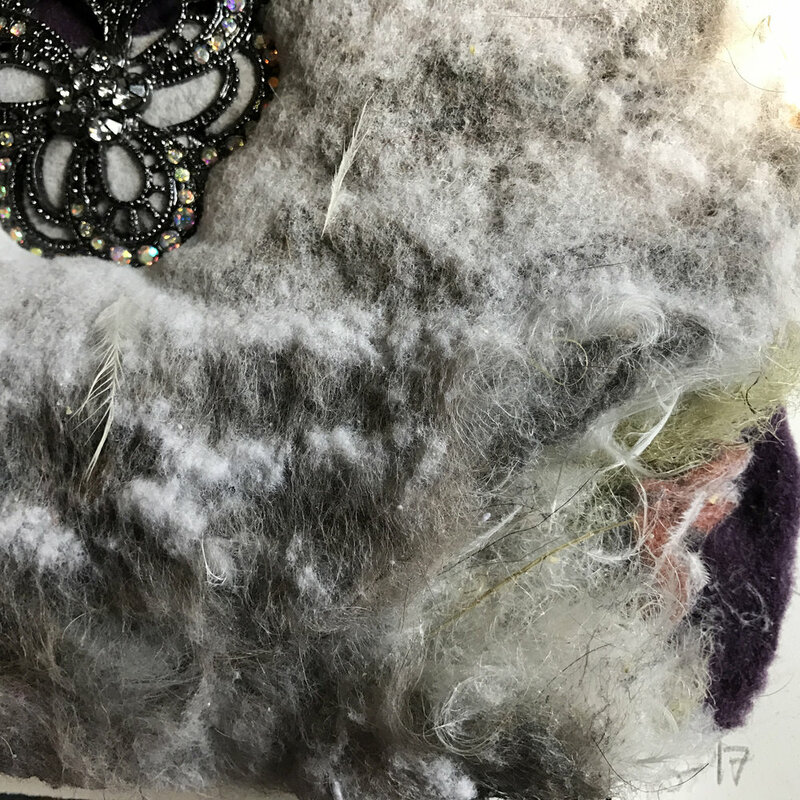 Special thanks to my fiends Suzi, Booker, and Edee for giving materials and treasures: furry, feathery, dusty and shiny, metallic, sparkly.